Caltrain currently runs on diesel. The electrification project would convert diesel propulsion to electric propulsion. Electricity would be delivered to the trains through overhead wires. Faster, electric trains accelerate and stop more quickly. More service. Faster acceleration would allow more station stops with the same amount of travel time, which would restore service to some stations that had been reduced since 2004. Shorter travel times also allow the same trains to run more trips throughout the day. Cleaner, because electric trains will not spew tons of harmful diesel pollutants. Quieter, because electric trains have no diesel engines revving up day and night. More reliable, electric train motors experience less down time than diesel engines. Reduce dependence on foreign oil, because electric trains can take advantage of cleaner domestic electricity. For a fraction of the cost, electrification would save 1.7 times as much fuel as building a BART train line from San Jose to Fremont. With electrification, every trip will be faster on Caltrain at every stop. EMU stands for electric multiple units. Instead of having a single locomotive that pushes or pulls passenger cars. The passenger cars would have their own electric motors. In the Bay Area, Muni Metro, VTA light rail, and BART trains are all electric multiple units. EMUs are more reliable and have the same performance no matter how short or long a train is. EMUs trains can change their lengths easily, which permit shorter trains during off-peak hours to reduce costs. In 1983, PR2000 released a series of white papers: “5-Point Program To Develop and Improve Peninsula Rail Service.” It includes electrification, along with Downtown SF extension and other proposals. Members handed out newsletters to train riders, made presentations to Peninsula city councils, SamTrans; appeared on local radio stations. In 1992, PR2000 (later known as BayRail Alliance) successfully lobbied to include Caltrain electrification in Santa Clara County T2010 plan, and in the Measure A half-cent sales tax that was later struck down by the State Supreme Court. Caltrans and JPB electrification studies confirmed key part of 5-Point Plan. On two advisory ballot measures, PR2000 helped persuade more San Mateo County voters to support Caltrain than BART. In 1999, newcomer Margaret Okuzumi helped PR2000 mount a pro-electrification faxed letter campaign. The JPB voted 5-to-4 at their May 6 meeting, to make electrification a near-term priority, instead of adopting the “go-slow” approach recommended by staff. After the Caltrain board first approved electrification as a priority in 1999, the agency began environmental evaluation in 2001. Because of funding issue, the final EIR was released in 2009 but the board chose not to certify it under the threat of litigation. The federal version of the environmental document was approved by the FTA in 2009. 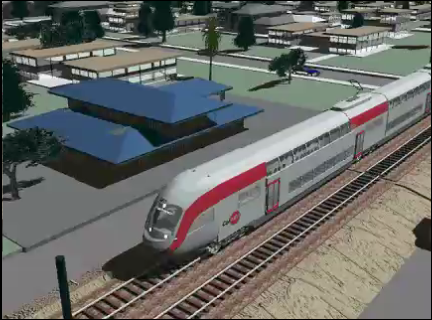 The project was stalled for a few years while Caltrain and High Speed Rail Authority were trying to determine the future of the Peninsula Corridor with High Speed Rail. The High Speed Rail Authority initially planned for a completely grade separated 4 track corridor. Because of funding concerns and community rejection, Caltrain, the High Speed Rail Authority, regional transportation entities including MTC, and the state legislature agreed on a blended approach in 2012 for High Speed Rail which envisions the corridor to be primarily 2 tracks shared by Caltrain and High Speed trains. Electrification of Caltrain was included in the 2012 High Speed Rail business plan as part of early investment package and would be used by High Speed trains under the blended approach. After the approval of the High Speed Rail plan by the state legislature in the summer of 2012, electrification officially became “fully funded” with funding from Proposition 1A. 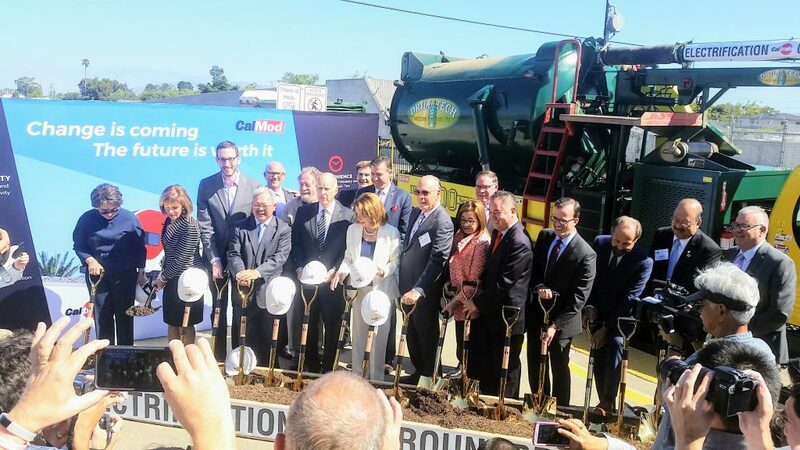 In 2014, Caltrain released a new draft environmental impact report for this project. In July 2016, JPB voted to approve contracts for construction of electrification infrastructure and purchase of electric rolling stock. After months of unnecessary delays in 2017 due to change in administrations, the federal government formally approved a key grant for the project after intense lobbying by business groups as well as Senator Feinstein and Governor Brown. Electrification construction began in July 2017 and should be completed by 2021.